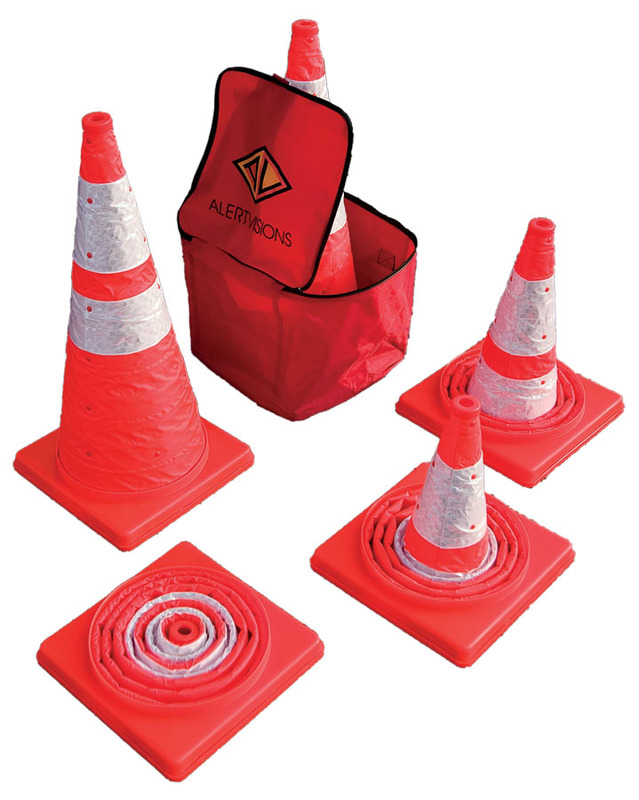 Alert Visions Popup Cones Kit has a set of 5 collapsible cones in its own space ­saving storage bag easily stored in your vehicle for convenient access. It's perfect for emergency first responders including Police/Fire/EMS/DOT emergency vehicles. When fully extended to 28­-inches, MUTCD compliant collapsible cones expose two bands of 3310 3M™ Scotchlite™ Reflective Material Prismatic Reflective Trim assuring they are highly visible in daylight but also at dusk and dark when battery operated light may be engaged in either setting of flashing or steady. Batteries included.